Recently I heard a story of Treyvon Martin. Martin, 17, an African American teen, was walking back to his father’s house in a gated community in Sanford, a suburb of Orlando, Fla. He had bought a package of Skittles and an iced tea from a convenience store in the city of about 53,000 residents. A majority of the city’s residents are white; just under a third are black. Moments later, Zimmerman — identified as a Latino white — was in a confrontation with Martin, ultimately shooting the unarmed teenager once, killing him. Then the police showed up, and let Zimmerman go, Self Defense they said. They failed to run a background check and appropriately interview witnesses. So here is where the story is at right now. Treyvon Martin–Dead! Zimmerman–Free! When I first heard this story, I was so shocked and angered, I can’t stop thinking about it. My mind started to think “what if this is my son?” Regardless of how hard I try to shake it off, it keeps on bothering me. Really, what if this is my son? What if? As I think about this, I wanted to do something, anything, to speak up. To show my disappointment to a system that failed to protect innocent child, and let a vigilante free. I turn into what I turn into when I am cornered and feel helpless, ART. 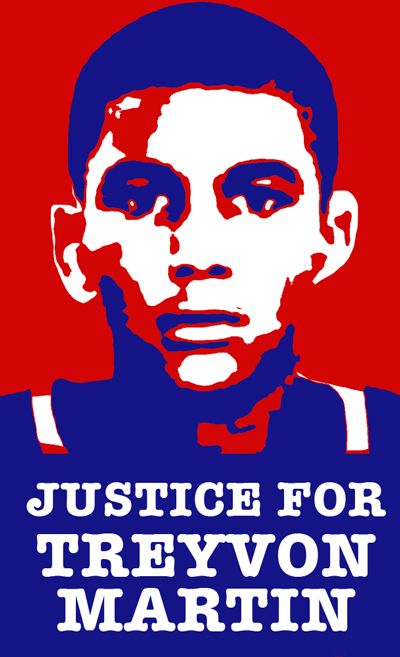 I designed a “Justice for Treyvon Martin” graphic and posted it in my facebook page. I wanted to show my solidarity to the parents of Treyvon and wanted to “say something” to show my disappointment of Sandford Police department and State of Florida. A state that passed a “stand your Ground” law. A law that allows a person to “stand his or her ground and meet force with force,” “including deadly force” if there’s a reasonable belief it’s needed to “prevent death or great bodily harm,” even if there’s a chance to escape. Then, minute by minute I start getting messages from my FB friends. They too are bothered by the story and they wanted to do what they can to address the injustice in Sandford FL. My friends are black, white, Asian, African, Mexican……male, female, married, single, parents and non parents and what have you. 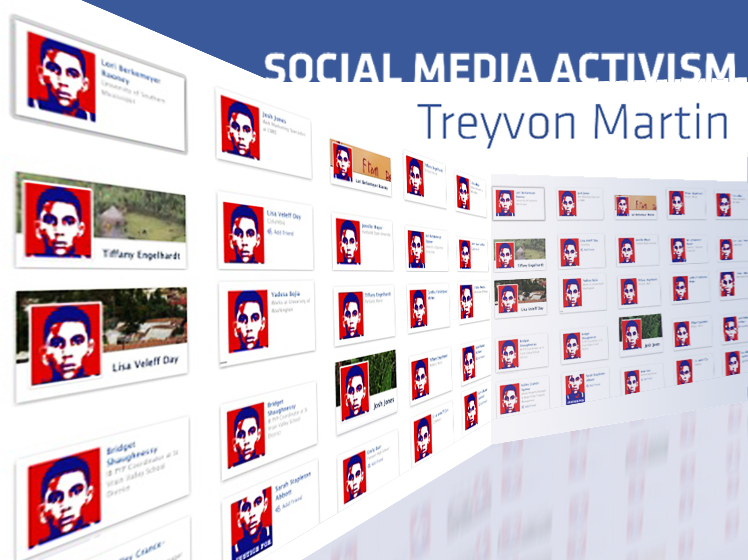 Some encouraged me by “liking” the graphic, some changed their profiles with Treyvon’s graphic and shared it. Suddenly the graphic went through out the web and my non friends started having them in their profile. I start seeing them spreading throughout. I do not know for sure if what me and my FB friends did will help in anyway. But, I know we didn’t kept silent as well. Social Media gave us a chance to say what we felt. For that, I am grateful.